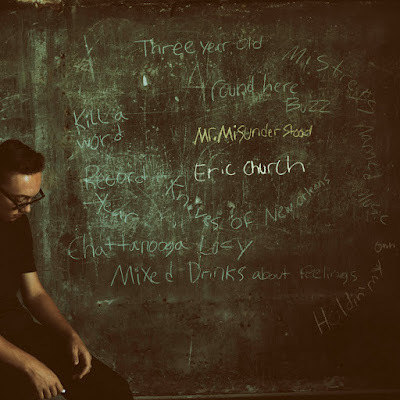 Eric Church’s second single off Mr. Misunderstood hit No. 1 today just in time for fans to celebrate his seventh summit to the top of both MediaBase and Billboard charts when he kicks-off his first of two sold-out solo shows at Red Rocks on August 9. “Record Year” was co-written by Church and his guitarist/banjo player, Jeff Hyde (who also penned “Cold One” (with Luke Hutton), “Springsteen” (with Ryan Tyndell), and “Smoke A Little Smoke” (with Driver Williams) all alongside the man the Los Angeles Times called “Nashville's foremost rabble-rouser”), and outlines a story of a heartbroken music-lover finding consolation in the records of some of music’s greatest masterminds. Fan loyalty has always meant a lot to the seven-time GRAMMY nominee, ACM and CMA-award winning singer/songwriter, which was made obvious when he directly shipped copies of Mr. Misunderstood on vinyl to his Church Choir before making it available to the general public.